Material sciences is one of the greatest contributors for the awe-inspiring new papers that are being released in recent times. Not only are we discovering fundamental new properties of established materials, but new meta-materials are also shining a new light on the possibilities ahead. Coatings that are capable of self-repair after scratches or cracks, textiles that change the knitting density based on humidity and more. 3D printing is also playing an interesting part here because it is both player and beneficiary of these discoveries: in some applications, the materials are born out of 3D printing’s ability to combine different materials in one new compound, in others these materials solve some of the technology’s major hurdles, like overhand printing or structural performance. Engineers have developed a new coating strategy for metal that self-heals within seconds when scratched, scraped or cracked. The novel material could prevent these tiny defects from turning into localized corrosion, which can cause major structures to fail. 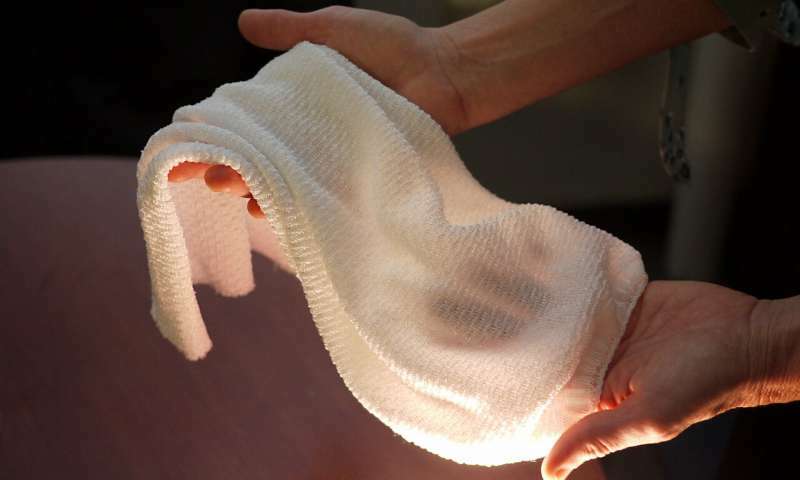 For the first time, scientists have devised a fabric that can dynamically alter its thermal properties in response to the environment. The automatic thermal regulation means people would no longer have to take off clothes when it’s hot or put clothes on when it’s too cold. The breakthrough lies in cleverly engineering the fabric with two different types of synthetic yarn — one absorbs water, while the other repels it. Read more on ZME Science.